How the London & Northwestern brand will look on a Class 350 EMU. 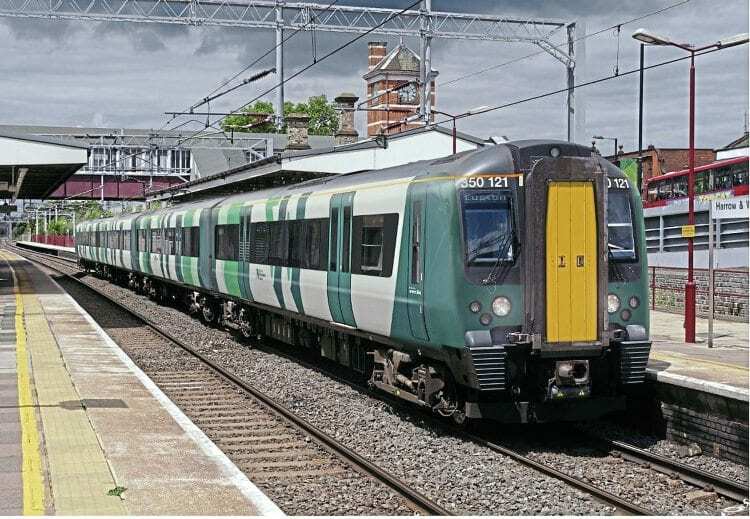 THE new operator of the West Midlands franchise is to revive the London and Northwestern name for services operating on longer distance routes between Euston, the Midlands and the North West. Trains operating elsewhere will use the West Midlands Railway brand, which reflects those services that could come under the control of Transport for the West Midlands in the future. The contract, which was won by Abellio backed by Mitsui and the East Japan Railway, will replace London Midland on December 10 and run for nine-years to 2026. 110mph trains using the Aventra design platform and 36 three-car 90mph sets for West Midlands metro services. 10 four-car Class 350/4 units will also be cascaded from TransPennine Express in December 2019.